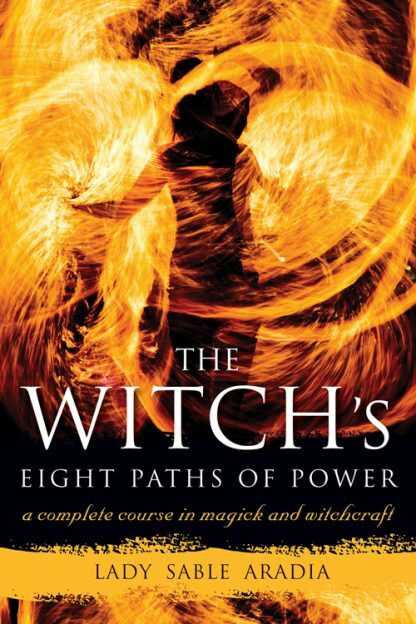 In his Book of Shadows, Gerald Gardner writes about the witch�s Eightfold Way as a means of developing one�s magickal abilities. In this contemporary take on the Eightfold Way, author, Witch, and High Priestess Lady Sable Aradia invites readers to explore the eight different components of evolution in witchcraft. Lady Sable Aradia is an initiated Third Degree High Priestess in the Star Sapphire and Pagans for Peace traditions and a licensed Wiccan minister. She has been teaching and advocating Witchcraft and magick for nearly twenty years. She is also a fantasy writer and a National Novel Writing Month winner. She lives in Vernon, BC, Canada.